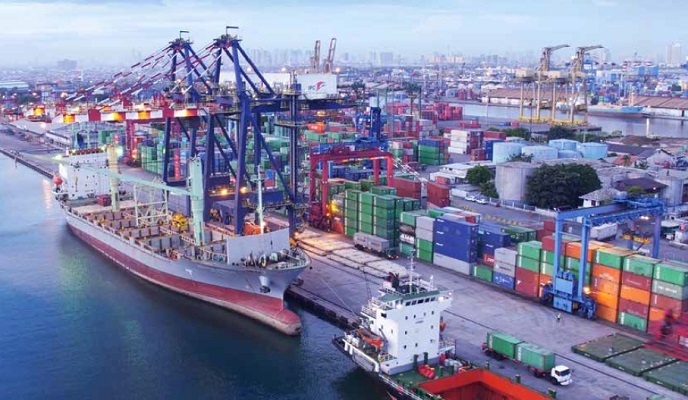 In line with the increase in domestic economic activity, Indonesia's trade balance recorded a USD $678 million deficit in January 2018. The deficit was particularly attributed to a shrinking surplus of the country's non-oil & gas trade balance. Although Indonesia's oil & gas deficit declined in the first month of 2018, it was not enough to offset the impact of the shrinking non-oil & gas surplus. Hence the country posted its second consecutive monthly trade deficit. Indonesia's non-oil & gas trade surplus reached USD $0.18 billion in January 2018, lower than the preceding month's surplus of USD $0.83 billion. This significant shrinkage was attributed to a USD $0.46 billion increase in the country's non-oil imports, accompanied by a USD $0.19 billion decrease in non-oil exports. The increase in non-oil & gas imports was mainly due to growth in imports of electric machinery and planes, plastics and articles from plastics, vehicles and spare parts, organic chemicals, and weapons as well as ammunition. Rising economic activity in Southeast Asia's largest economy is behind this growing demand for imports. Rising imports particularly involved raw materials that were ordered by domestic manufacturers. It can therefore be seen as a good sign that production activity and investment are on the rise in Indonesia amid expectations of a further improving domestic economy. It is therefore not expected that Indonesia will now see a structural monthly trade deficit as it had in the 2012-2014 period. Meanwhile, the decline in non-oil & gas exports was mainly due to sliding exports of animal and vegetable fats and oils, iron and steel, tin, ores, crust, metal ash, and nickel. The sliding deficit in the country's oil & gas trade balance came on the back of a more rapid decline in imports than the decline in oil & gas exports. Hence, the oil & gas trade balance deficit fell from USD $1.05 billion in December 2017 to USD $0.86 billion in January 2018. The subsequent trade deficit in the first month of 2018 is the highest monthly deficit since since April 2014. Meanwhile, the January 2018 deficit was the second straight monthly trade surplus, following December 2017's USD $220 million deficit (which was revised down from USD $270 million). On an annual basis, Indonesian exports rose 7.86 percent year-on-year (y/y) to USD $14.46 billion in January 2018. particularly on the back of rising exports of mining products and manufactured goods (although BPS Head Suhariyanto said that prices of several commodities, including copra and palm kernel oil, fell and thus actually undermined export gains from rising coal and nickel prices). Meanwhile, Indonesian imports surged 26.44 percent (y/y) to USD $15.13 billion in the first month of 2018, accelerating from a 17.83 percent (y/y) growth pace in the preceding month due to purchases of electrical and mechanical machinery. Imports of raw materials rose 2.34 percent month-to-month (m/m) in January, while imports of consumer and capital goods fell 1.46 percent (m/m) and 7.39 percent (m/m), respectively. However, when we take a look at imports on an annual basis, imports of consumer goods, capital goods and raw materials show double-digit growth, at 32.98 percent, 30.9 percent and 24.76 percent, respectively. China remained on top of the list as Indonesia's biggest trading partner. However, the world's second-largest economy has the upper hand with a USD $1.83 billion surplus in China-Indonesia trade. Indonesia also has significant trade deficits with Thailand (USD $211.4 million) and Australia (USD $178.2 million).